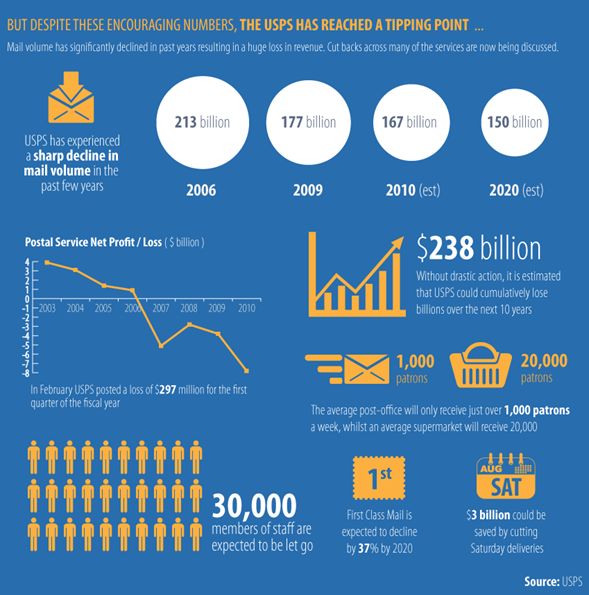 What Can We Learn from the USPS Impending Bankruptcy? The United States Postal Service (USPS) is on the brink of bankruptcy. It continues to operate at staggering losses each year and has now bumped up against the upper limits of its allowable borrowing limits. It’s a sad state of affairs from which businesses can draw some lessons that might help you avoid a similar fate. When your business is facing financial challenges, here are some key factors to keep in mind. Don’t Act Like a Government Monopoly. Not that your business will receive an offer like this anytime soon, but it’s important to understand that part of the reason the USPS has become insolvent is because it is forced to operate by government-imposed rules that make it nearly impossible for it to succeed in the long term. The worst one is that the USPS has to pay up front for all of its employees’ retirement benefits for the next 75 years. That means annual payments to the US Treasury of about $5.5 billion dollars. Just that one onerous rule in itself makes a huge difference. 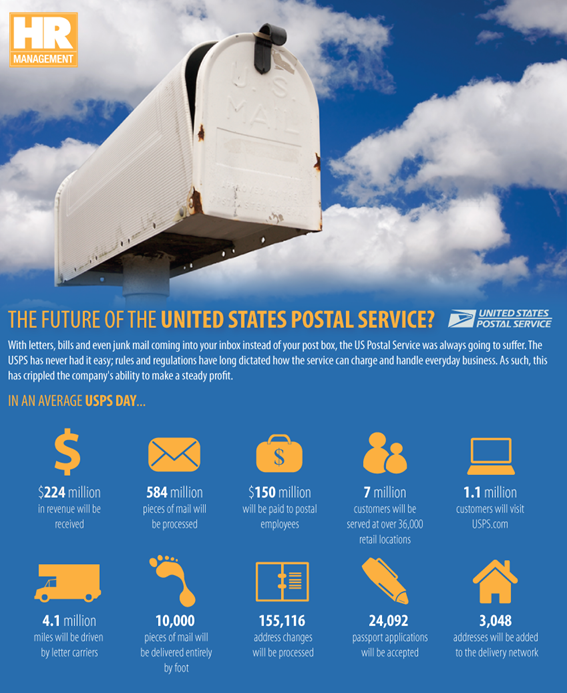 Without it, the USPS would have had a $600 million surplus over the last four years! Are there lavish benefits or major expenditures that you could cut to help you regain solid financial footing? Anticipate Change. 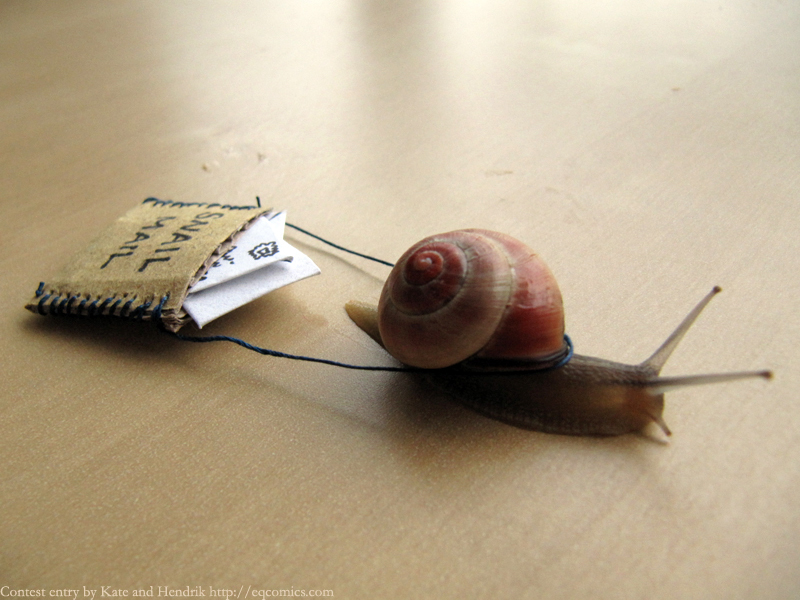 Somewhere along the way, the USPS decided it didn’t really have to pay attention to changes in its environment. UPS? FedEx? Gee, where did those guys come from? Faxes? Email? E-Cards? Smartphones? Suddenly, it doesn’t seem like people need the USPS as much as they used to. These are all developments that strategically appear to have caught the USPS by surprise, but which they should have been paying attention to all along. Why did they sit back and let the courier services cut delivery deals with online merchants? This goes a long way towards explaining why the USPS is on the verge of bankruptcy. It’s important to ask yourself – are their competitive or financial forces in your environment that would allow you to anticipate future changes that will affect your business? Customer Service is King. How many times have you gone into your local post office only to find a depressingly long line waiting for one of the two clerks on duty to help them? Never mind that there are five cashier stations – have you ever seen them all in use? And why is it that the clerks don’t seem to be in any hurry to get things moving? And yet they wonder why people are bailing in droves to the alternatives. Having your mail delivered to your mailbox despite most weather is the ultimate in convenience, but incredibly poor customer service at their storefronts may force them to cut back on the one thing we all love about the USPS. Ensure that if you’re losing business, customer service is not at the heart of the problem. Is your business losing money? Do you feel like you’re heading towards bankruptcy? Don’t be like the USPS! Act fast to turn things around by making sure you’re operating as efficiently as possible, anticipating and proactively dealing with changes in the marketplace, and treating your customers as one of your most valuable assets. If you’ve done these things and your business is still in real trouble, contact a local qualified business bankruptcy attorney to discuss your options for moving forward.